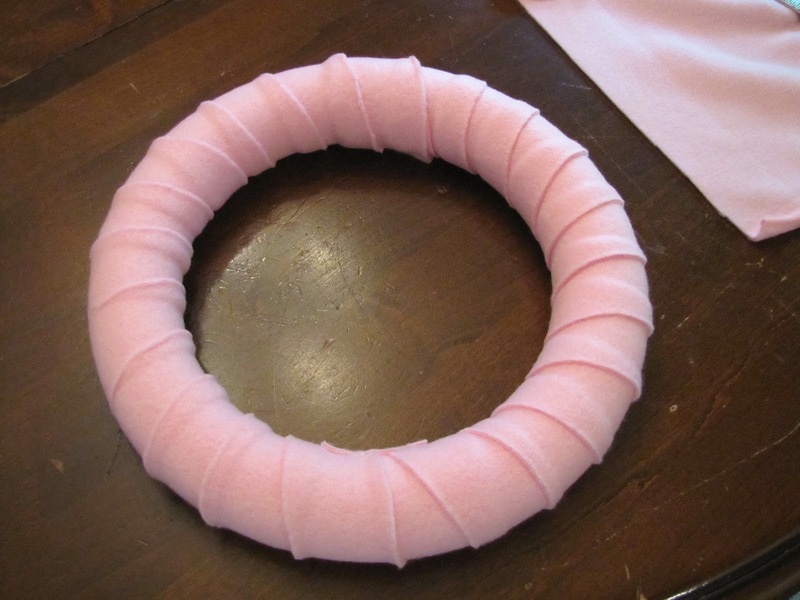 Today I'm sharing with you the tutorial for the fleece wreath I used in the "Shower her with Love" baby shower. 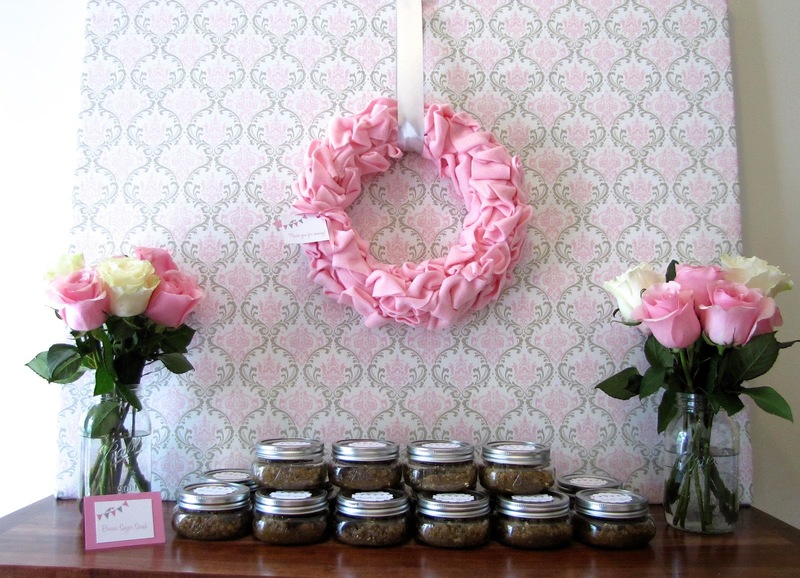 I love using wreaths for decoration. 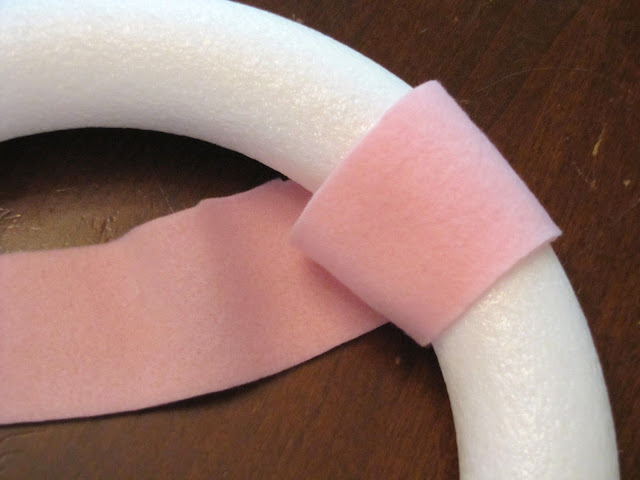 They are so welcoming when used at an entrance and can be very inexpensive to make. 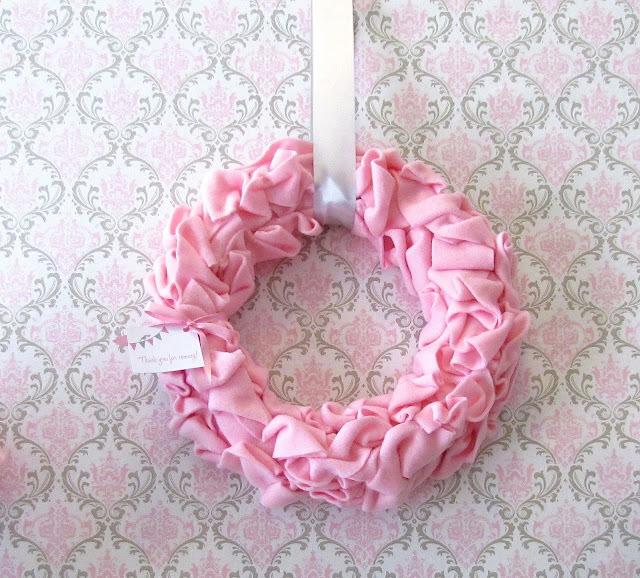 This one was made using only a few store bought items and craft supplies I already have handy. The fleece fabric came from my fabric collection (I found fleece remnants on sale at my local fabric store a while ago for $1.00 a piece and snatched up several knowing they could be used eventually.) I used the tutorial found on this fabulous blog. Here's how I made mine. 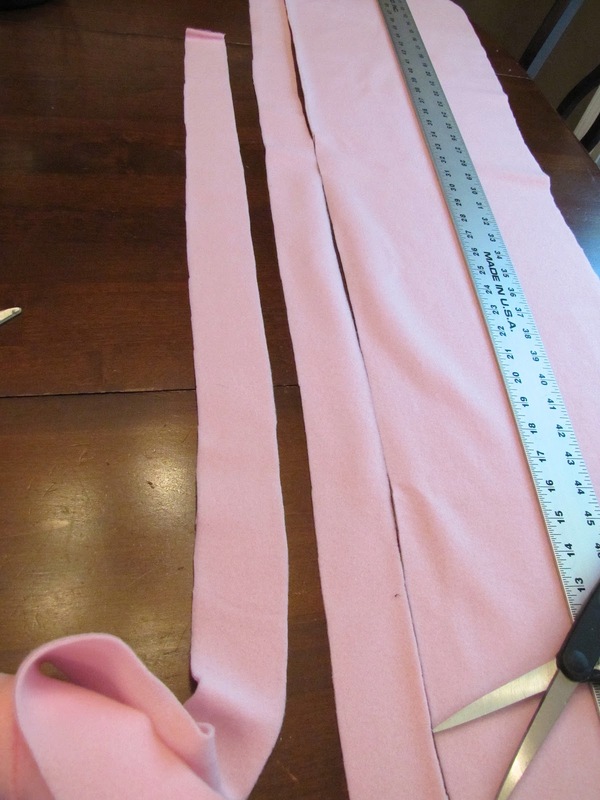 Step One: Cut several 2" wide strips running the length of your fabric. 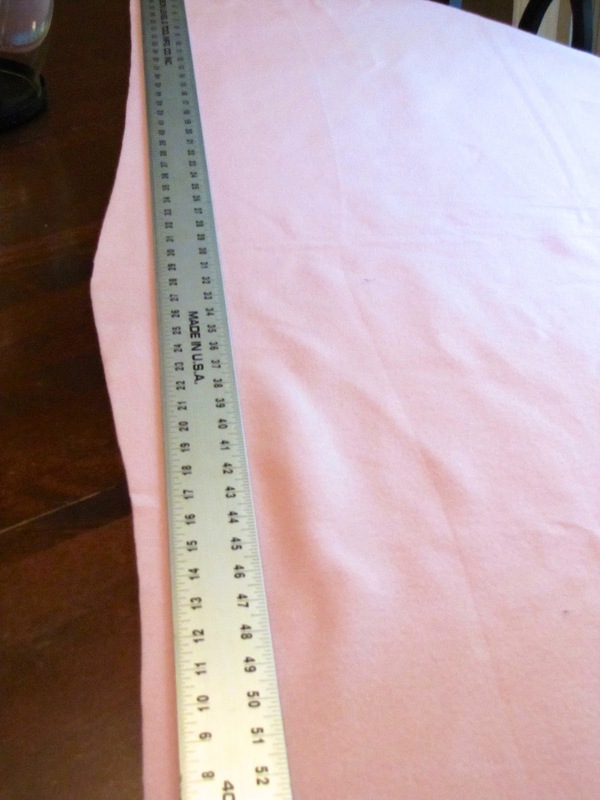 I used my yard stick as a guide since it is 2" wide. 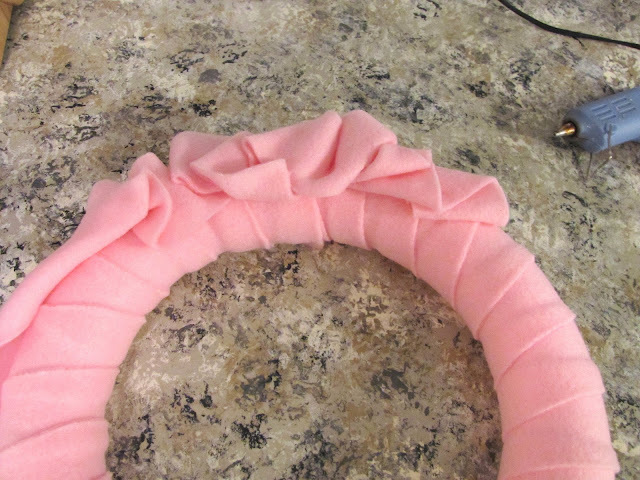 Step Two: Take one of the strips of fleece and start wrapping it around the wreath form securing it with hot glue. Continue until it is completely covered. I used about 3 strips total to cover the whole thing. 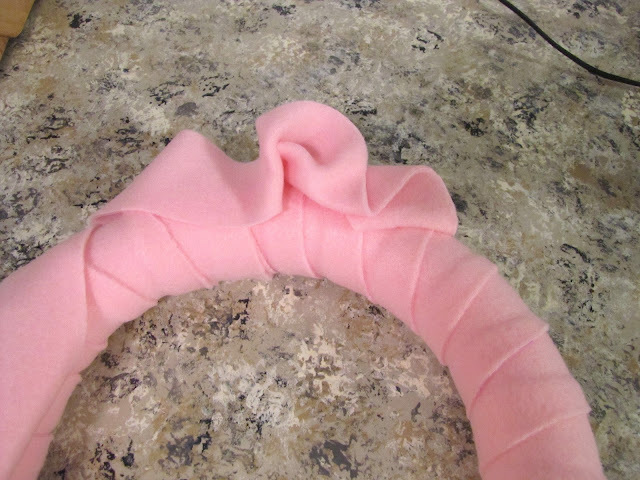 Step Three: Take another strip of fleece and start scrunching and gathering it along your wreath form gluing in several places along the way. It may take a little practice to get the look you want. Continue scrunching and gluing until the front of the wreath is covered. So in the end it looks like this. A beautiful way to greet guests as they walk through the door.